The Alford-based Teddington Trust want protective equipment to be made available on prescription for those who suffer from xeroderma pigmentosum (XP). XP is a very rare genetic condition characterised by an extreme sensitivity to ultraviolet radiation, often causing severe sunburn after only a few minutes in the sun. It affects fewer than 100 patients in the UK, and about 10 in Scotland. The Teddington Trust was initially founded in 2012 by Rebecca and Wilbur Stewart following the diagnosis of their nephew Eddison, then aged 13 months. Mrs Stewart said there was hope that a project to design a more suitable face visor could help sufferers, but “we are a long way off”. She added: “To have both the currently available hat and visor, along with the UV protective gloves, made available on prescription would help alleviate the financial burden on families and our charity currently providing it free of charge to patients who contact us. “These patients should not be discriminated against due to the rarity of their condition and lack of understanding. 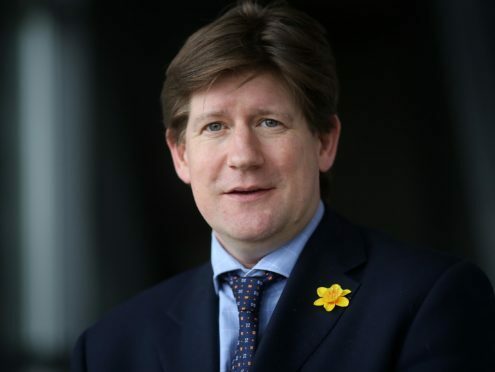 Aberdeenshire West MSP Alexander Burnett has quizzed the Scottish Government on the lack of support, and last night the Scottish Conservative said: “I support the Teddington Trust’s proposal that UV protective equipment is available on prescription. A Scottish Government spokeswoman said: “The treatment and supervision for Xeroderma Pigmentosum (XP) is highly specialised and is best delivered through specialist hospital services that can provide expert advice to fit the needs of the patient. “High factor sunscreen, lip-screen and Vitamin D supplements are available on prescription for patients with XP. “Only drugs and devices included on the Scottish Drug Tariff can be prescribed.